What is Detox and Why do I need to do it? Detoxification is a natural way to stimulate your body’s own ability to cleanse itself. 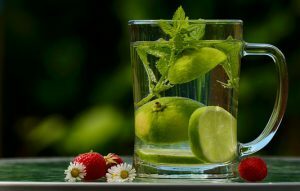 Detoxification can help you improve resistance to disease, normalize weight, and increase physical and mental stamina. It can help free you from chronic aches and pains, feel healthier, and be more energetic. Over time, the buildup of toxins from the environment and lifestyle choices can compromise the way our bodies work, and even affect our health. While many people are familiar with the idea of detoxification, there is a great deal of confusion about how to do it safely. For example, trendy water or juice fasting may cause muscle wasting and an increased feeling of fatigue. In order to support liver detoxification function, the body needs macronutrients such as quality protein and carbohydrates, plus specific micronutrients (e.g., vitamins, minerals) that provide targeted nutritional support. Meeting with our naturopathic physician, Dr. Donna Kachinskas for an initial consultation and review of your goals and overall health. A healthful, 3 step system of initial clearing, metabolic detoxification and reintroduction. We provide eating guidelines, customized during your initial consultation, and a recommended foods list. UltraClear Renew powder to provide you with all the nutritional support needed to be successful on the program. AdvaClear capsules that provide detoxification and antioxidant support that promotes overall well being. Our program is designed to allow you to use the resources that you have, including insurance where applicable and, with our guidance, to direct you to the best people to help you optimize your body’s health by eliminating toxins gently. Our ultimate goal is to help you in decreasing your toxic exposures for a lifetime.